Waygood-Otis Ltd. was formed in 1906 following the merger of two lift manufacturing companies called the Otis Lift Co. and R. Waygood & Co. The Otis Lift Co. was established in New York in 1853 by Elisha Otis. 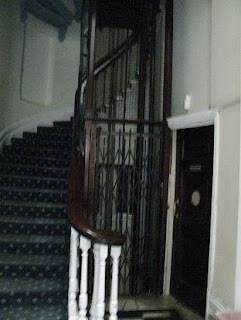 The company pioneered the development of the “safety elevator”, invented by Otis in 1852, which used a special mechanism to lock the elevator car in place should the hoisting ropes fail. This revolutionary design enabled the use of lifts for passengers. On March 23rd 1857, the world's first passenger safety elevator went into service at Broadway and Broome Street in New York. The elevator was powered by steam through a series of shafts and belts. R. Waygood & Co. was established in London in 1833 by Richard Waygood. The company manufactured water-powered lifts. Following the merger of the two lift makers, the headquarters of Waygood-Otis in the UK was established in Leicester. The company continued to make advances in lift technology. The “tram car” lift was developed. This was the first lift to have push buttons – at the time most lifts were manually controlled using a handle. In the 1930s the first lifts to have automatic doors were produced. After the Second World War, "Waygood" was dropped from the company name. In 1976 Otis Ltd. was acquired by United Technologies and is a wholly owned subsidiary. Today, Otis is the world's largest manufacturer of vertical transportation systems, principally focusing on lifts and escalators. The tram car lift—so called as the windows at the side made it look like a tram car.